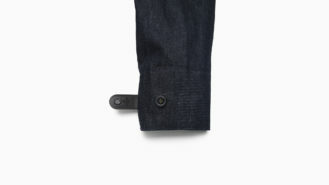 Levi's is calling it the Commuter Trucker Jacket, a denim jacket with Jacquard woven into the left sleeve. It responds to simple gestures like swipes and taps. 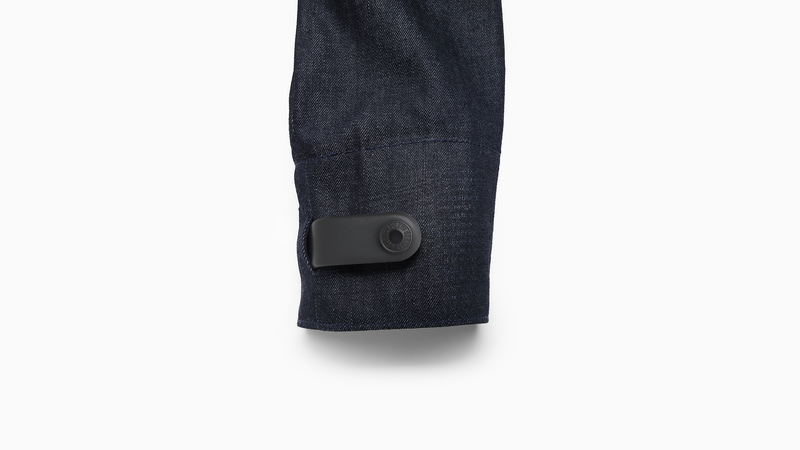 A small, flexible control unit attaches to the jacket at the cuff, held in place by the button loop. It contains the battery to charge everything, the Bluetooth transmitter, a vibrating motor for haptic feedback, and an LED for minimal visual feedback. The control unit was designed to blend in as well as it could, but this is the one element that still looks a little bit clunky and identifies the jacket as wearable tech. The jacket communicates with an app on the wearer's phone over Bluetooth. In the on-stage demonstration, it was said that it can currently be used to react to text messages and phone calls, control Google Maps and Play Music, and also work with a few third-party apps like Spotify and Strava. An SDK is in development so developers can add support for their own apps, as well. The jacket is designed to be stylish, but also rugged and durable so it can be thrown into a washing machine and worn like any other piece of clothing. There was a big emphasis that the fabric can handle all of the stresses of manufacturing and regular wear and tear. In fact, the control unit is the only component that has to be removed before throwing the jacking into a washer or dryer. The presentation didn't mention whether or not the touch-sensitive fabric functions properly if it gets wet in the rain. A "limited beta" of Levi's Commuter Trucker Jacket is planned for Fall 2016. Details for how to get into the beta weren't available, but there is a signup form at the bottom of the Project Jacquard website to receive news in the future. Levi's is targeting a full market release in Spring 2017. No prices or regional availability were mentioned. miners during the gold rush, innovation today must confront the new challenges of our digital world. for your life (on and off your bike) —all without having to remove your phone from your pocket. 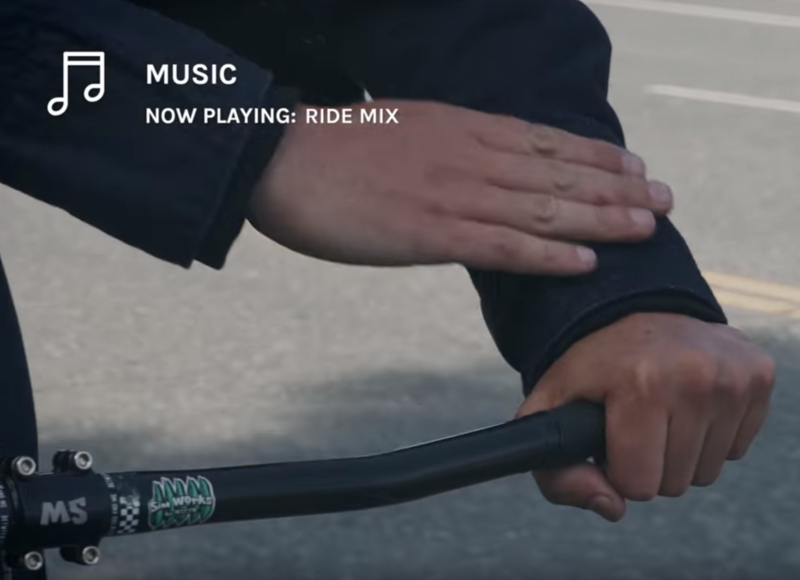 How does the Levi’s® Commuter™ Trucker Jacket work? functionality to control music and silence calls, where the touch then registers wirelessly to a phone or tablet. important to them adjusting music volume, silencing a call, or getting an estimated ETA to their location. 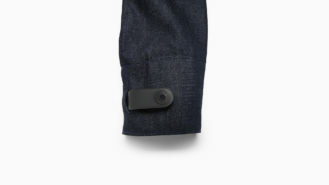 When will the Levi’s® Commuter™ x Jacquard by Google Jacket be available? The jacket will be available Spring 2017 in Levi’s® stories and on Levi.com. How did Levi’s® & Google end up working together? Why the Levi’s ® Commuter™ line? problems. Our goal is always to create clothes that perform as great as they look. enough to be woven on any industrial loom. Learn more www.projectjacquard.com .